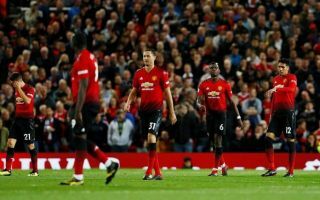 Pundit Graeme Souness has explained the selection decision that killed two Manchester United players in the Monday night defeat to Tottenham at Old Trafford. Red Devils manager Jose Mourinho ended up playing a somewhat strange line up against Spurs, with Ander Herrera included in a back three alongside Chris Smalling and Phil Jones. As you know by now, this backfired pretty spectacularly as United lost the game 3-0 to continue a miserable start to the 2018/19 season. Looking back at the move by Mourinho, Souness believes selecting Herrera at the back effectively killed Smalling and Jones for that game. The Scot, writing in the Times, has generally slammed the Portuguese for his investment in defenders, with two of his signings – Victor Lindelof and Eric Bailly – not getting the nod against Tottenham. Using a midfielder like Herrera then made it harder for Smalling and Jones as they would have been let down by the Spaniard not knowing the position as well as them, according to Souness. ‘United have shelled out more than £700m with a scattergun approach to transfers since Sir Alex Ferguson retired five years ago and Mourinho has been responsible for spending more than half of that sum,’ Souness said. ‘He inherited two England international centre-backs in Phil Jones and Chris Smalling, spent £60m on Eric Bailly and Victor Lindelof, yet had Ander Herrera beside Jones and Smalling on Monday night. ‘When you’re playing a midfielder as a centre-back, it kills the other two because he doesn’t know the position properly.